Fraud with payments on value added tax in Ukraine in 2013 amounted to about UAH 70 billion, the head of the State Fiscal Service of Ukraine Ihor Bilous has said. 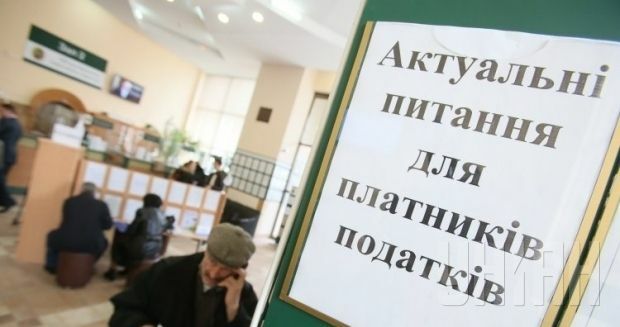 "Due to VAT fraud, each Ukrainian citizen has been ‘robbed’ of UAH 1,500,” the press service of the State Fiscal Service of Ukraine said in a statement, quoting Bilous. According to the officials, the situation may be improved new legislation that comes into force on January 1, 2015, which introduces special electronic VAT accounts. "Starting from January 1, 2015 a system of electronic VAT administration is to be introduced, which has [already] been in operation. We will carry out extensive explanatory works regarding the different issues of e-administration, as VAT is a complex tax that needs to be clarified," Bilous said. The VAT tax rate in Ukraine is one of the lowest in the EU. The problem is not the tax itself, but its administration, according to Bilous. "Over six months, we have identified criminal schemes related to VAT, with evidence of the theft of tens of billions annually. In order to overcome these schemes and to eliminate the possibility of VAT evasion by means of fake credits, we have suggested a systemic solution - the introduction of electronic VAT administration." According to Bilous, the new rules will have to ensure payment of VAT, and this will help to speed up settlements between the parties and payments to suppliers. As UNIAN reported earlier, on July 31 the Verkhovna Rada adopted the Law "On Amendments to the Tax Code of Ukraine and Some Other Legislative Acts (regarding the improvement of certain provisions) No. 1621-VII", and on August 2 it was signed by the president. In accordance with the law, taxpayers will automatically open an account in VAT electronic administration system at a bank assigned by the cabinet. In order to ensure taxes are transferred to the budget, the central executive body that ensures the implementation of tax and customs policy will submit to the banks in which taxpayers hold accounts in the electronic VAT administration system a register of taxpayers, which the banks will use to transfer the correct amount of taxes to the budget. Businesses have expressed misgivings about the law, arguing that it would derive enterprises of their working capital and exacerbate decline in many industries. In addition, the draft of the coalition agreement envisages the elimination of the introduction of VAT accounts, and in its place improvements being made in VAT administration. At the same time, the Ministry of Finance of Ukraine noted that introduction of VAT accounts is supported by a key creditor of Ukraine, the International Monetary Fund, with which Ukraine must continue cooperating in order to obtain much-needed financing.